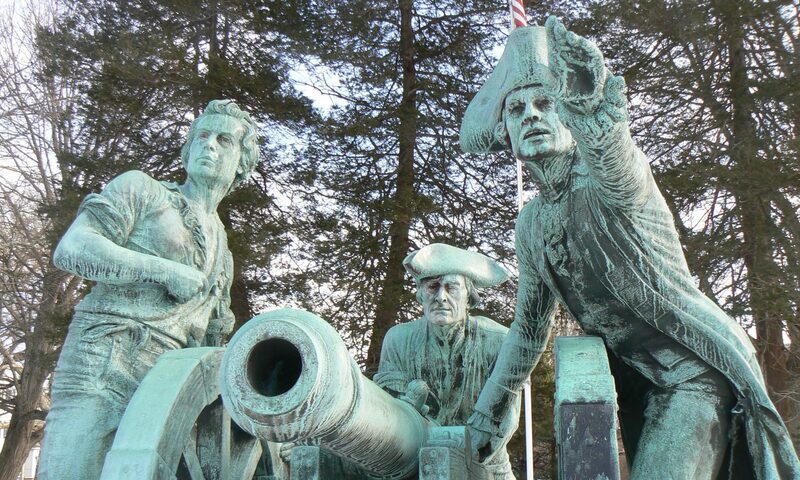 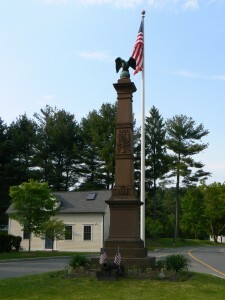 War of the Rebellion Monument, Stockbridge, Mass. For today’s post, we take our first look at a monument outside the state of Connecticut by highlighting the War of the Rebellion monument in Stockbridge, Mass. 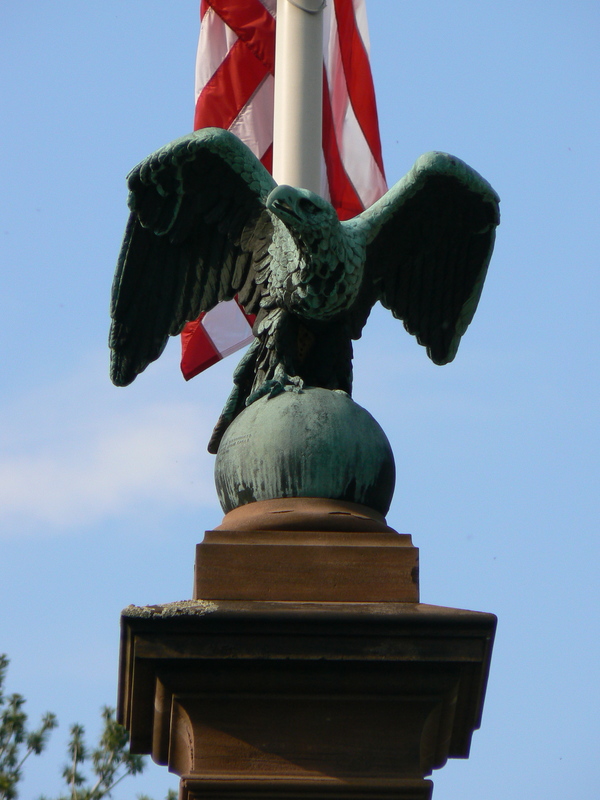 The monument, located at the intersection of West Main and Pine streets, is a brownstone obelisk, topped by a bronze eagle sculpture, that was dedicated in 1866. 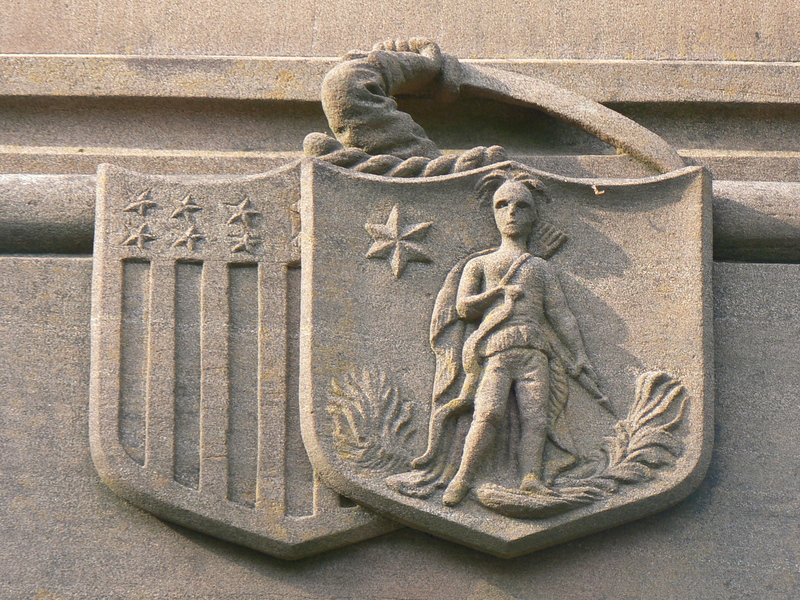 The front also features an ornate carving of two flags, crossed swords, a wreath and a soldier’s haversack. 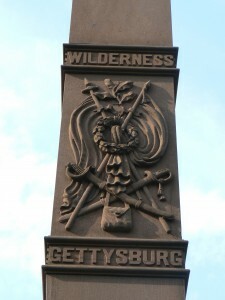 This face also lists the battles of Gettysburg and the Wilderness (Va.), and bears the U.S. and Massachusetts seals. 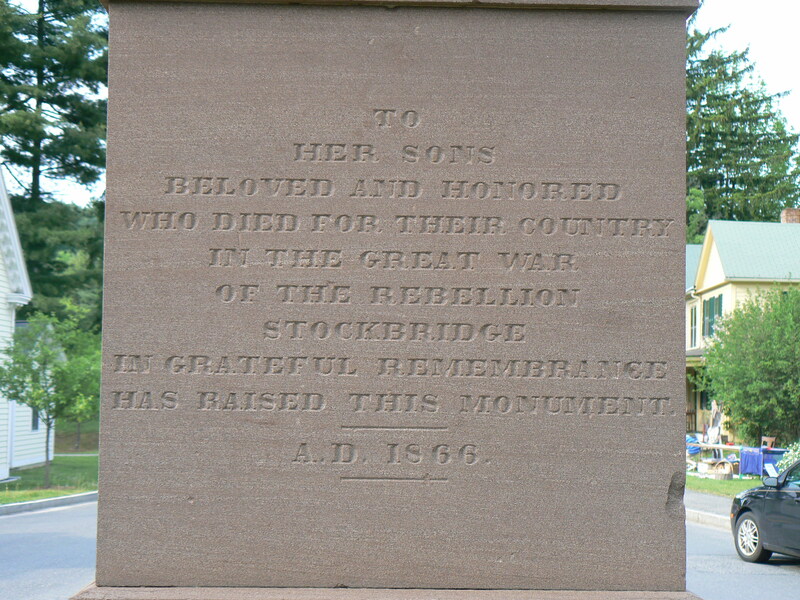 The east face of the monument honors 15 residents killed during the war. 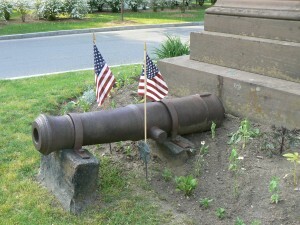 Of these, 14 were listed with Massachusetts units and one was affiliated with a New York unit. 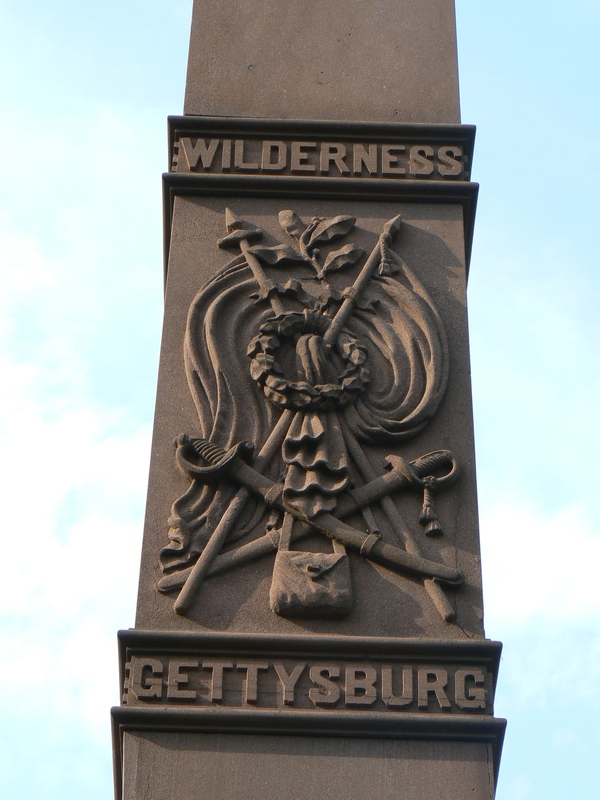 The east face also lists the battles of Spotsylvania and Petersburg (Va.). 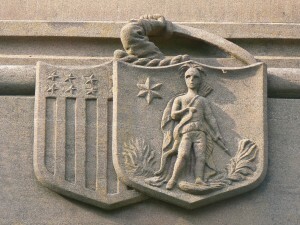 The west face lists 13 names, including 10 affiliated with Massachusetts units and three with Connecticut units, along with the battle of Donelson (a fort in Tennessee) and soldiers who were lost at Andersonville (a Confederate prisoner of war camp in Georgia). 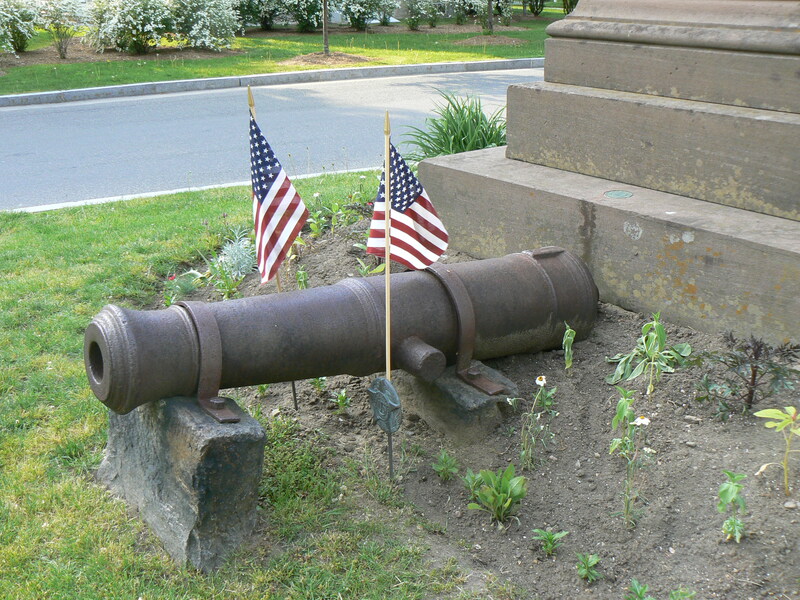 A small cannon has been mounted in front of the monument’s south face. Next PostNext Civil War Monument, Pittsfield, Mass.